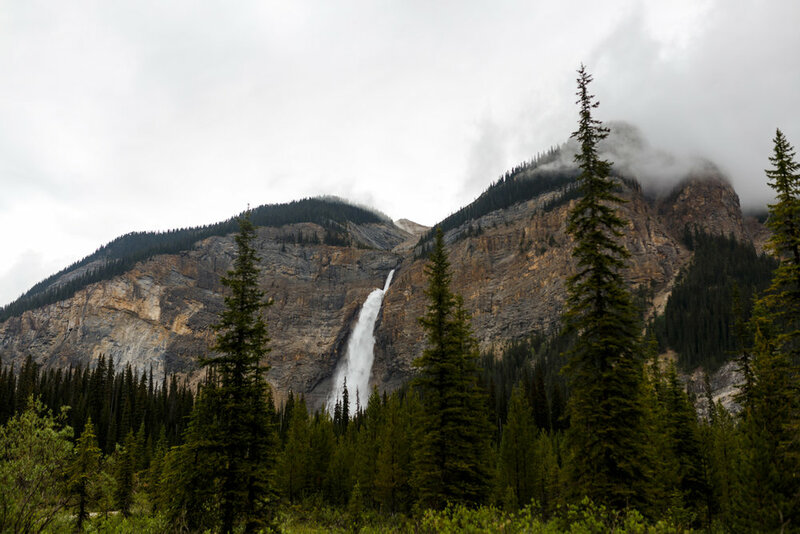 Hidden away in Yoho National Park is a pretty magical place called Takakkaw Falls. 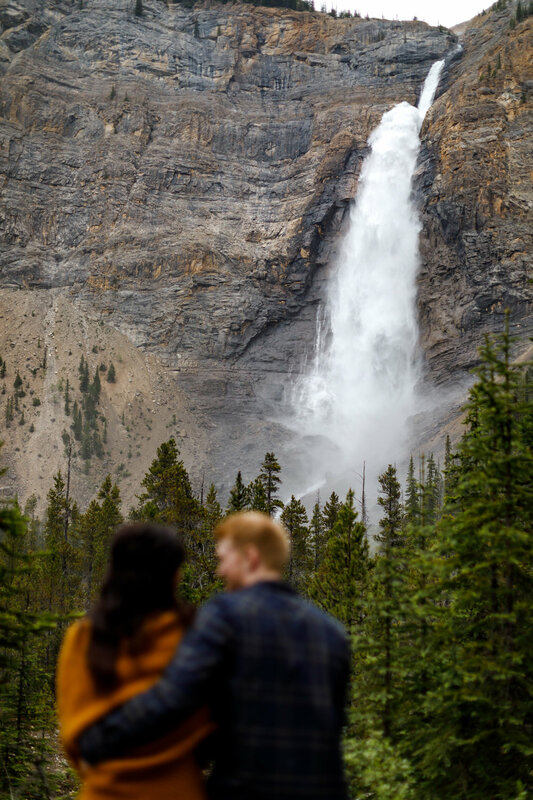 The winding road to this epic waterfall is closed up until mid-June but it’s definitely worth the wait if you’ve never been. 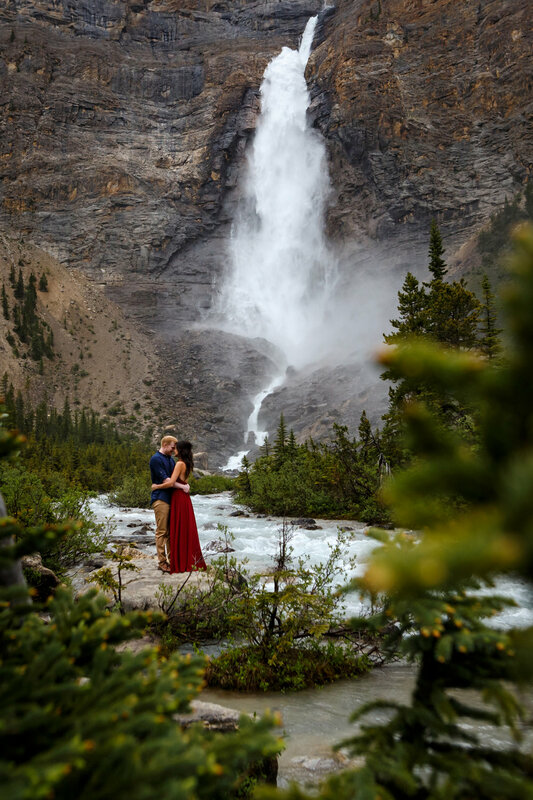 If you’re planning a Rocky Mountain Elopement and looking for somewhere a little quieter, this could be the perfect spot! 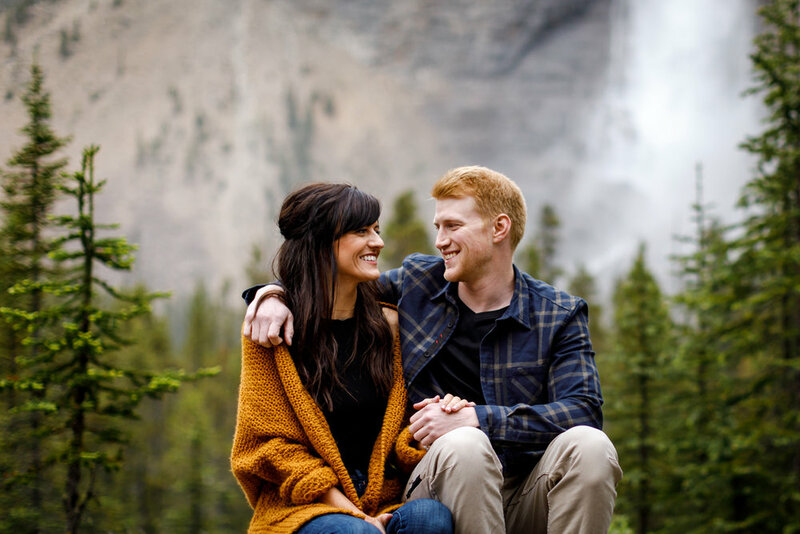 We met Kristin + Jonny last summer for a couples session right at the base of the falls. 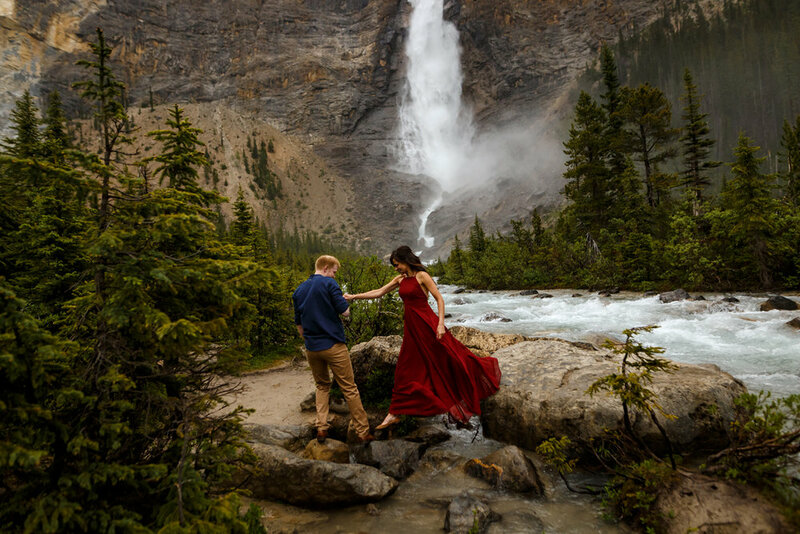 We all got a little wet (the mist can be pretty intense) but it was an amazing experience and we like to think the photos were definitely worth it. Thanks again you guys - we had a blast!